This entry was posted in Assurance of salvation, Bible, Hope, John MacArthur, Joy, Resurrection, Salvation. Bookmark the permalink. I shared Jack, and this is my comment underneath your post. I am only saying, if you have never believed the gospel of grace, that the gift is ETERNAL LIFE through Jesus Christ our Lord, then you have believed another gospel and it will not save. PLEASE, re-read John. that ►we which are alive and remain unto the coming of the Lord shall not prevent them which are asleep. ►►►and so shall we ever be with the Lord. THANK YOU LORD FOR YOUR PROMISE OF ETERNAL LIFE WHICH IS BASED ON YOUR UNCONDITIONAL COVENANT MADE WITH ABRAHAM, UNILATERAL, BASED ON YOUR PROMISE, NOT OUR PERFORMANCE…. 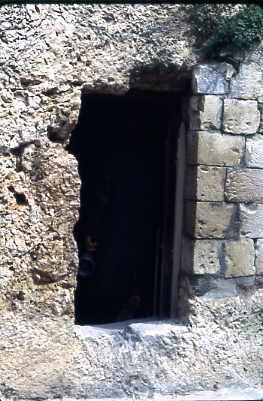 Indeed, Jack – the thrill of their seeing that empty tomb, seeing the angel and hearing his proclamation that their Lord, OUR LORD, is risen and then realizing that Jesus had conquered death must have been overwhelming!! How sad that the LS folks can’t appreciate the significance of His death and resurrection. Instead of rejoicing in the completed work of Christ in purchasing our salvation with His shed blood, canceling the debt we owed, their work of earning it themselves is then just beginning. What’s there to rejoice about in that? Jack, as believers, we have Christ’s imputed righteousness, as scripture so clearly states. I say the same… Hallelujah!! I am not a very emotional person but I found myself getting very emotional while reading and recording those scripture verses. Just imagine their emotion and Joy when “Mary Magdalene and the other Mary” approached the tomb and were told “He is not here for He is risen as He said.”!!! What a Savior!!! He IS RISEN!! I appreciate you but — Please, look up to Jesus, not me. I am nothing more than a sinner saved by God’s Grace.. trying to share the Word and that Good News of the Gospel while exposing those who would pervert it in any way. God bless you Jack for your faithful and uncompromising stand for the Gospel of Grace Alone, thru Faith Alone in Christ Alone– i look up to you brother. He Is Risen!